Yes, you can describe TruPace treadmills as cheap – even the company uses the term – but not in a way that you initially think. TruPace prides itself on making cheaply priced products (not “cheaply made”) that are very affordable yet will last long enough to get real value out of your purchase. The North American partner of TruPace Fitness is1800treadmill.com, which was launched in 2011 to bring the 15-year-old European product to the US market. They have combined their efforts in order to offer low, low prices, along with free shipping and a 30-day money back guaranteed trial period, on fitness products that include treadmills, elliptical trainers, and exercise bikes. This is accomplished through “direct-to-consumer” delivery as well as eliminating certain frills that are not necessary on quality, reliable equipment. UPDATE: TruPace is out of business and no longer manufacturing treadmills. Take a look at ProForm and Horizon for great machines in a similar price range. The company also controls costs by offering just three TruPace treadmills. Ranging in price from $499 to $799, the M100, M120, and M150 models offer an amazing assembly of components set in attractive packages. 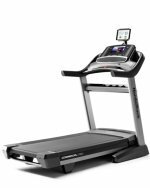 The entry-level TruPace M100 has a 16" x 50" walking surface with features not usually found on treadmills selling for under $500. A few of these items include 12 incline levels, a 2.0 chp motor, a folding frame with soft drop lift, and handrail speed adjustment buttons. These types of features are normally found on machines costing at least $900 or more. 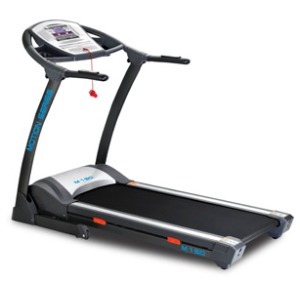 The TruPace M120 at $699 has many of the same features of the M100 but has 15 incline levels, a 20" x 55" walking belt, 14 challenging programs, a high quality audio system, and an integrated heart rate monitor. At just $799, the TruPace M150 is the most expensive budget treadmill and offers a few more perks. It has a 2.5 chp motor, an 8-point shock absorption system, a 20" x 55" belt, a maximum user capacity of 350 pounds, and a 2 years parts / 1-year labor warranty. The early reviews on this new discount brand have been very favorable. 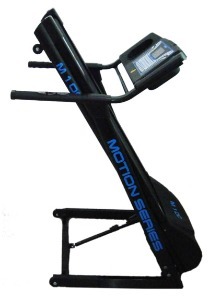 Users have had good service and support 1800treadmill.com which handles all online orders and inquiries. The treadmills have brightly lit LCD displays, easy-to-lift assist mechanisms for folding the deck up out of the way, attractive and stylish frames, and decent warranties. If you are looking for a quality machine that won’t break the bank, check out TruPace treadmills for cheap prices, not a cheap product. TruPace M100 - A nice size motor, a power incline, a soft-drop folding frame, and lots of other cool features makes this one a contender as the best treadmill under $500. TruPace M120 - The M120 treadmill offers an amazing list of specs and features for just $699. It compares with competitor models that sell for hundreds more. TruPace M150 - More features than the M120, but that doesn’t mean more is better. We suggest you check out the specs on the M120, which is the best value in the TruPace line.